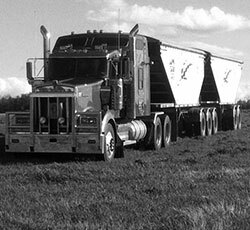 Black Eagle Transport Ltd is Based in Devon, Alberta. 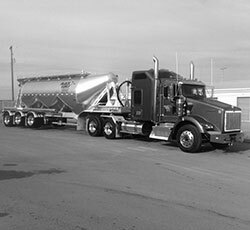 Our Transportation Services Include Telebelt Transfer, Freight and Logistics, Frac Sand Transport, Transport of Access Matting, Flat Deck Freight, Bulk Agricultural Commodity Transport, and Oilfield Hauling. 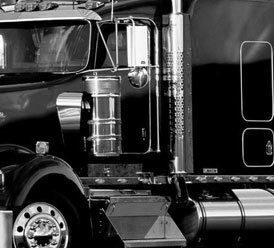 Black Eagle Transport is one of the most diverse haulers in Western Canada. Serving Canada and USA, everything we do is quick, safe, and dependable. We've got you covered across Canada and USA. 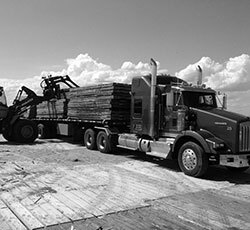 Highway transport, flat deck freight, and telebelt service are our specialties. With over a century of combined years experience, our team is poised to solve any challenge the transportation industry has to offer. 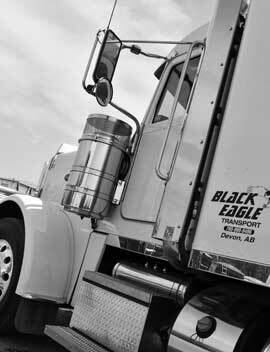 Black Eagle Transport is a transportation company, based out of Devon Alberta. With over 100 combined years of experience, our team is poised to solve any challenge the transportation industry has to offer. 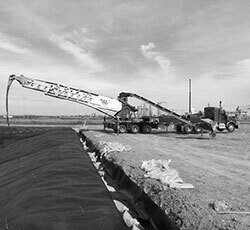 Black Eagle services the oil & gas industry with hauling and placement of frac sand material, using our telebelt and transportation team. 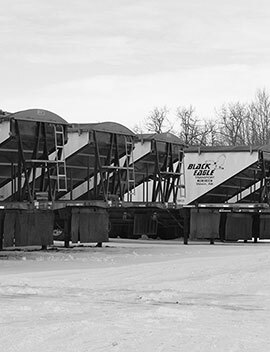 Black Eagle Transport is a proud supporter of the agriculture process in Western Canada, transporting grain and fertilizer from the fields to processing plants. 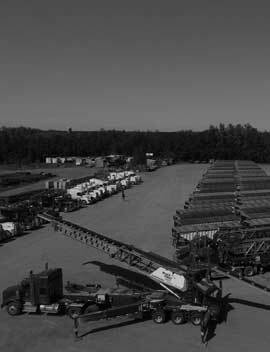 Black Eagle Transport is a diverse company and is able to transport a multitude of commodities and materials on any given day, safely and on time. With over 100 combined years of experience, our team is poised to solve any challenge the transportation industry has to offer. This combined knowledge in the transportation industry has made Black Eagle Transport an industry leader, capable of handling the specific and timely needs of the premier companies in Western Canada. 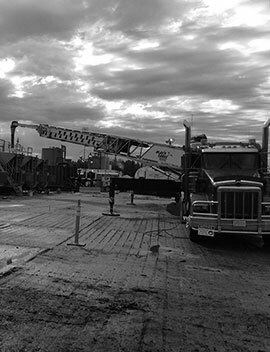 Black Eagle Transport services the unique needs for companies across various industries including oil and gas, pipeline, infrastructure, new construction, farming/agriculture and forestry. Black Eagle Transport is proud to support many local community programs including the Devon Minor Hockey Association and is an annual contributor to several local initiatives including the Boy Scouts, Stars Air Ambulance, and the Stollery Children's Hospital. We're committed to ensuring that practical and effective measures are implemented to protect the health & safety of our employees, contractors, customers, property, the environment and the public in every aspect of our operations. Black Eagle Transport is an ISNetworld member.